Marathon training officially kicked off this last week. This last Sunday marked 15 weeks until race day – it sounds far away and so close at the same time. when looking forward to events I like to think back to what I was doing during the same time period in the past ( i.e. what happened 15 weeks ago?!) to put things into perspective. In this case, 15 weeks ago was Mother’s Day weekend, just after my sister in law’s bachelorette party and right before her wedding. That doesn’t seem very long ago at all… CIM will be here before I know it! Overall, this is the fastest I’ve ever been going into marathon training. I’m also doing more mileage early on than before (although before Eugene I did do quite a bit of mileage early on thinking I might still be racing the Surf City full in February). I feel like I know what works for my body now and I’m focusing on those things rather than following an exact plan. This is all part of the Adaptive Running technique explained in Brad Hudson’s book “Run Faster” which I have been using for my training. I’m also keeping what I learned from Maria’s coaching with me in terms of keeping my easy runs EASY (i.e. slow, heart rate zone 1 or 2) and not worrying about pace. At times I do second guess that running 10 min miles will somehow allow me to run a marathon at 8 min/miles, but knowing that I used this technique for the half marathon and busted out 7:38 min/miles helps keep me focused. The key workouts are when pace matters, and the only thing that matters on endurance runs is keeping my heart rate in Zone 2. Being rested and ready for the key workouts so that I can make improvements during them is what will get me to my goal. This week was full of friends and trails! Every run was with a friend and a large portion of the runs were on the trails. The nights and mornings are getting a little darker but it’s still light enough to run without a headlamp before and after work. I know this won’t last forever so I’m cherishing every moment while I can! 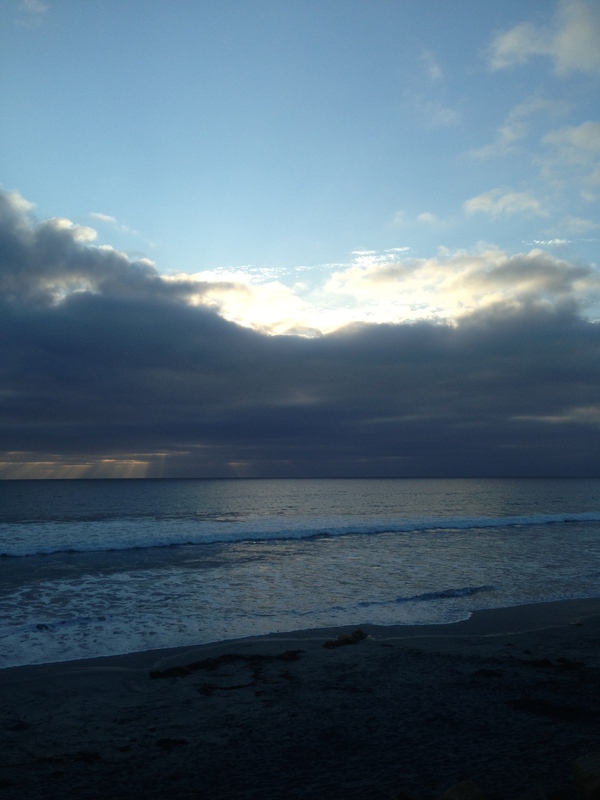 Rest day – Post Bird Camp, my legs were ready for some R&R. I recently purchased a Groupon for a Club Pilates studio (this is the same pilates franchise that I go to in Encinitas) right near my work. I took my first class at lunch. The class was good (and I was sore the next day) but I’m not sure I loved the teacher. I’ll have to give it another shot before making my final decision. But the convenience of the lunchtime workout is amazing! That evening I met up with Brooke and Mike for our weekly Torrey Tuesday run. We did the same route as last week but this time my legs weren’t quite as fresh and I didn’t push it as hard. We ran up the road to the top, down the trail, up the trail and down the road, enjoying a beautiful sunset the entire way. In total, 6.4 miles with 1,200 feet of climbing. I started the morning with an easy Zone 1 run with my friend Allison. I ran 1 mile before she arrived and we ran nearly another 4 together, for a total of 4.9 recovery miles. Progression Run. Mike and I have started to make Thursdays our mid-week long(ish) run day. This is also part of the Run Faster schedule, although the plan has us running 10 miles (I am generally modifying the plan to be slightly lower mileage). We ran 8.4 miles in total, with the last 4.2 miles “moderate.” I progressed in effort, and staying in the mid 8s for the first couple of miles and then completed the final 1.2 miles at goal marathon pace (8-8:10). 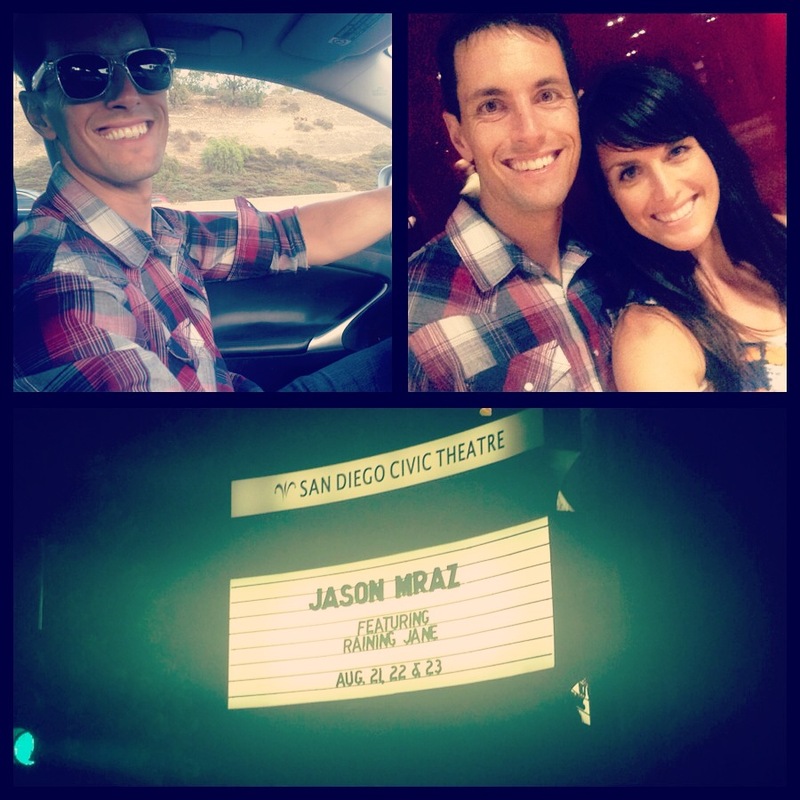 That night Mike and I headed downtown for date night, starting with drinks and dinner at a fun restaurant (with great beer and sweet potato fries being the highlight) and the Jason Mraz concert! I headed back to Club Pilates at lunch, this time for my very first Level 2.5 class. I typically take Level 2 classes as non of the Level 2.5s at the Encinitas location take place at a time I can make it. This class was HARD! I loved it!! I will definitely be heading back. The major difference in the levels seems to be the amount of time you hold each pose. On Tuesday we were getting out of plank and other positions just as it was getting hard, and on Friday my entire body was shaking. Love the shake. Brooke had told Mike and I that she knew a 14 mile trail run loop somewhat near our house (Cardiff/Rancho Santa Fe) so we met up with her Saturday morning so she could show us the ropes. This run was hard. There wasn’t a lot of climbing, but there was quite a bit of running on loose sand (at times it felt like we were running on a beach) and a few miles on a horse trail that was covered in big bits of loose bark (also feels like running in sand). In the end, I ran 14.6 miles and I was pooped! Mike and I stayed together the whole run, but going forward we won’t be running our long runs together. He needs to go ahead of me and run a bit faster to make his own improvements. Running Buddies! Note the new Oiselle tank! 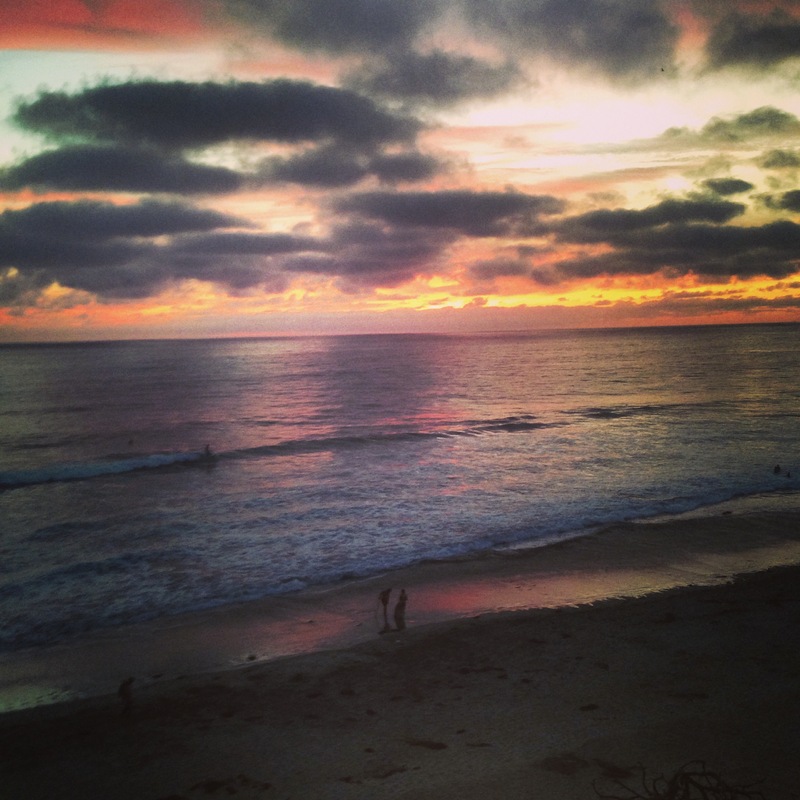 Sunday night’s sunset – they have been amazing lately! 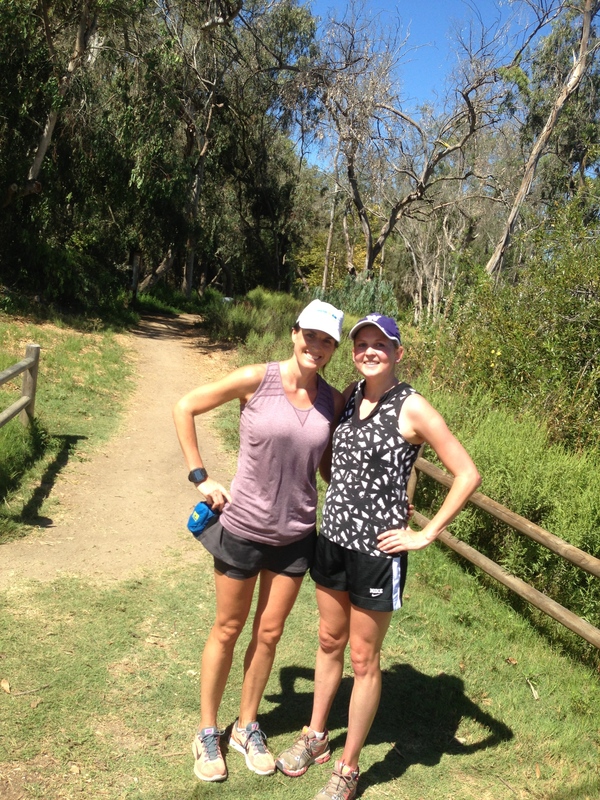 I met up with Asia for a run on Sunday morning and we realized we hadn’t run together in weeks! That’s definitely rare for us. I ran 2 miles before we met up and then she and I ran another 5ish, totaling 7.3 miles (Zone 2). My legs actually felt pretty fresh on this run despite the long run on Saturday, although we did run slow. How many weeks do you usually train for a marathon? Anyone else a Mraz fan? 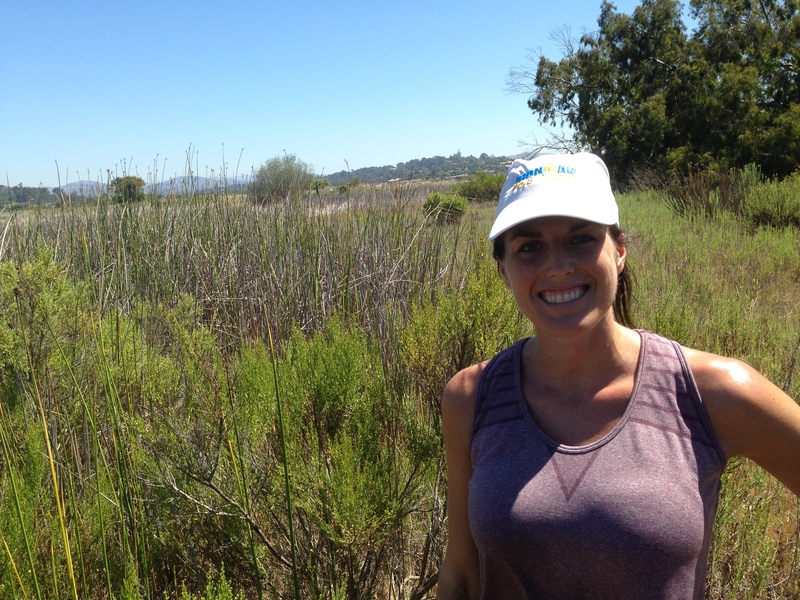 « CIM Pre-Season Weeks 5 & 6 and Long Beach Marathon Entry Giveaway Winner! I totally know what you mean about how hard it is to realize that an easy run of 10 minute miles can actually help with a faster run come race day. I’m training for my own marathon but I struggle keeping my easy runs actually easy. 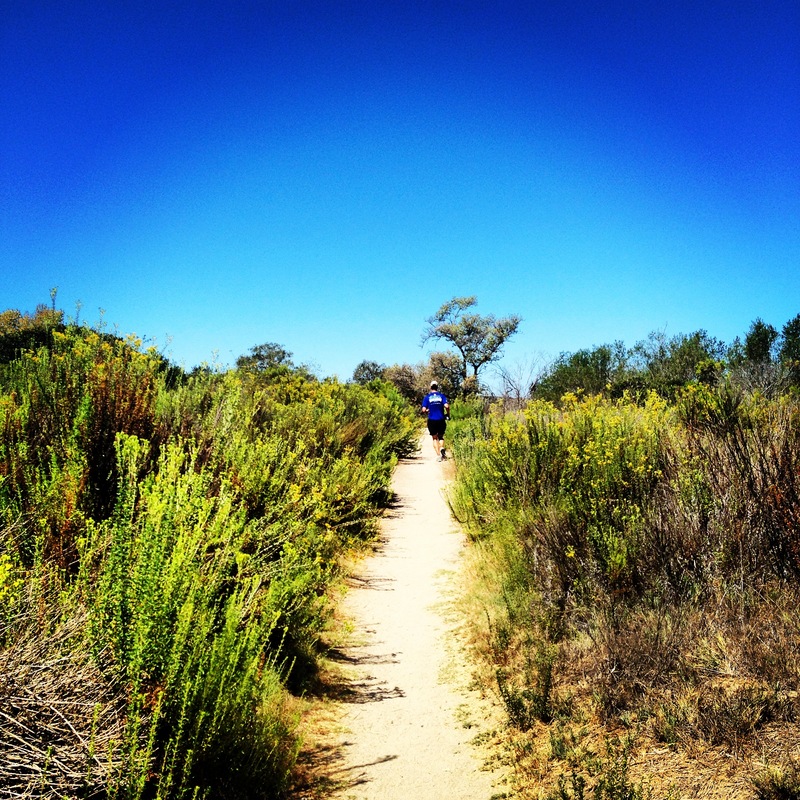 I do love the trail running shots – they look so pretty! Glad you feel the same! It is hard but also I know how much better I feel after an easy run than pushing through a slightly faster one! Great week! Strong start to marathon training! Great pictures too!! I guess it depends on what I trained for before the marathon. I think typically 12-16 weeks. Sounds like an awesome week in generally, but especially coming off Bird Camp. I like that you’re modifying the program to slightly less mileage. I think so many people think more is better for marathon training! I really need to try Pilates at some point! I have been trying not to compare my mileage to others ! So many are doing hansons method right now but I’m sticking to what I think works for me!